Last week, we invited guest host Thrall to take over Weekly Legends. This time, we're giving him the reigns to The New Standard. 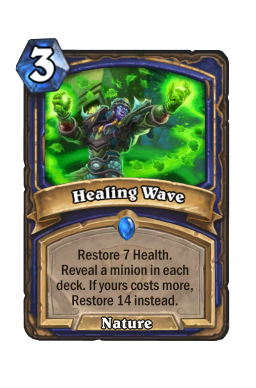 Two Shaman decks in two weeks may seem odd if you've been paying attention to the current meta, but odd is what we do here. Today's list is the most successful version of the Jade Shaman deck that has been running around for the past few weeks. This deck goes hard on the control plan, but does it with a bit of flair. You want to grind your opponent down, but you also need to get pressure up. For that reason, there is some aggression here as well. Ya'll know I love decks that do something different, and this absolutely fits that bill. Flametongue Totem Right off the bat, you may notice that Flametongue Totem seems out of place in this build. This card is one of the best ways to push tempo, which has made it an aggro and midrange tool for the past several years. However, this deck definitely has a control slant. So, why is the 0/3 here? The answer to that is quite simply because of how well it works as removal. As with most Jade decks, you start slow but finish fast. Though very few decks (with the exception of Control Warlock) can tango with your late game, getting to those turns is not always easy. Sometimes you need help keeping the board under control or living until you draw AOE. Flametongue is perfect for both of those uses because it enables you a way to use your smaller minions to trade up without committing valuable hard removal. Trading is not something you normally think of with control, but removal is removal is removal. All of that being said, you don't need to get shy with this card. 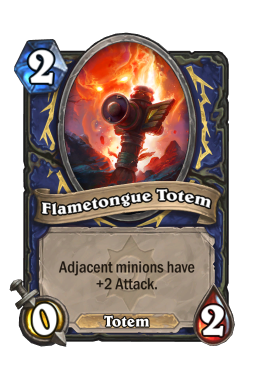 In most Shaman builds, Flametongue Totem is something you want to work to protect or set up in the exact right away. 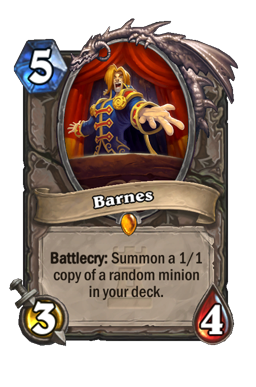 However, here the two drop can easily be leveraged for value or to make your opponent play into AOE. Pressing the board is not your first plan of attack, but it can come in handy. 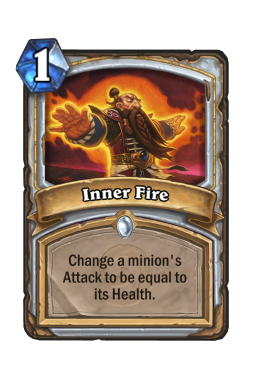 This card is also a good way to get your opponent to use removal. If you need some extra time, this is one of the best ways to get it. Also note that the burst on this can come in handy from time to time. There are going to be some games where you need extra damage to put your opponent away. This fills that niche without forcing you to play all-in cards like Bloodlust . Murmuring Elemental There are several card choices in this one that I think are quite clever. One of the best examples of that is Murmuring Elemental . This rather generic 1/1 has not seen close to any play since it first came about. However, it packs quite a punch in this list. The reason is because of the ways you can change its use on the fly depending on what you're up against. This card works with a ton of different cards here, which opens up your options. When facing down aggro, you want to try to hit things like Jinyu Waterspeaker , and against control (especially Warlock) you want to look for the Coldlight Oracle s to blow them out of the water. In fact, that combo is often your finisher against slower builds. 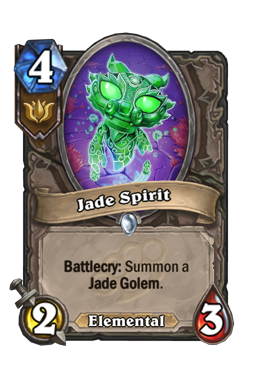 There is no doubt that your jade cards will always be strong with the elemental, but the tech choices are really what makes it so good here. 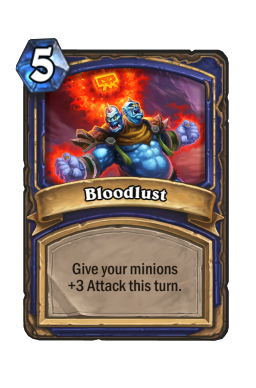 It is extremely important that you notice this two drop does not specify which battlecry triggers twice. There are no restrictions here. 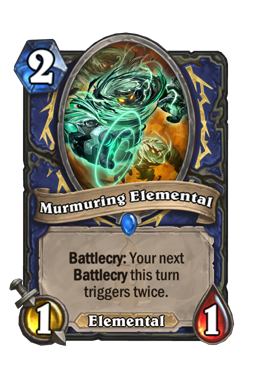 It is very easy to assume that Murmuring Elemental says "minions" and only play to it in that way. However, being able to hit a Jade Claws for extra golem triggers or Thrall Deathseer to turn small minions into gigantic bodies is very powerful. In fact, slamming this with the Death Knight is one of the best ways to instantly ice a game. The two drop is not a card you often use to blow your opponent out of the water. Sometimes it is insane, but most of the time you're simply looking to find value where you can. The jade package is (as always) incredibly powerful on its own, but getting even one extra jade early on can make a huge difference when you begin to go big later. Rummaging Kobold While I'm spotlighting numerous cards below, I wanted to highlight Rummaging Kobold because of how unique the three drop is. It is no secret that the epic 1/3 has seen absolutely zero play since Kobolds. 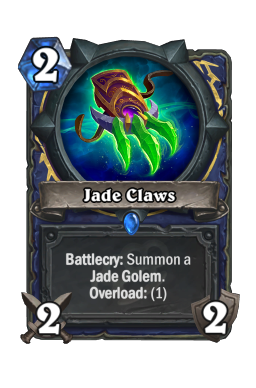 However, unlike decks where it could pull back legendary weapons, it is strong here because you can simply get more Jade Claws . With a deck like this, you want to be able to go as long and play as many jades as you possibly can. The Kobold helps you with both of those plans by not only giving you more ways to control the board and trade, but by increasing your triggers as well. It's a win-win. 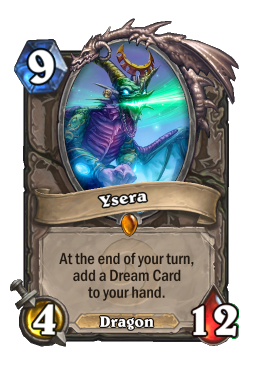 Yes, the 1/3 is a big tempo loss, but if you play it later in the game with two mana, it suddenly becomes a 1/3 alongside a 2/2 weapon and a gigantic threat. You absolutely never want to play this early on, but it is great anytime after you've broken a claws. Even if the mid turns it is fine (I find it works quite well on turn five). If you do some searching, you'll find that some decks like to run two Rummaging Kobolds instead of one. There is nothing wrong with that plan, and if you want to go even harder into jades that is definitely a good path to take. However, I think you really only need one to get the value you're searching for with the 1/3. The (Other) One Ofs This deck runs its share of singleton cards. When you see that, it means one of two things. The list is either unrefined, or it is perfectly tuned to the meta. In this case, we have a slew of singleton options that give us different ways to combat the current decks on ladder. 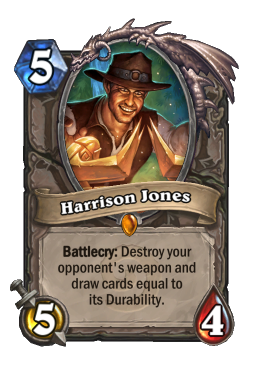 The big four are Lightning Storm , Mana Tide Totem , Hex , and Harrison Jones . While that is a bit of an odd mish-mash, each card serves a very distinct purpose. Volcano is your best finisher, but there are going to be going to many games where you need Storm to help take down early pushes or less-than-threatening boards. Spell conservation is key, and that helps with it immensely. 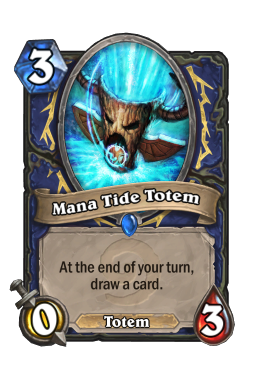 Mana Tide Totem is welcome card draw, and while it could be replaced with Bloodmage Thalnos , its ability as a tempo play (like Flametongue Totem ) makes it stronger. 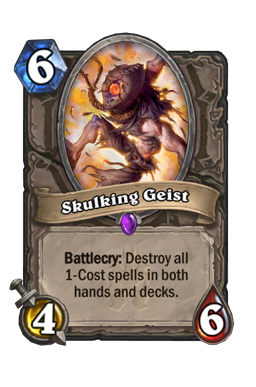 You can drop it early against aggro to eat damage, or in the mid game to force removal out of control. 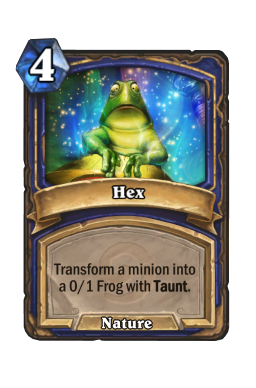 The one card that I think could easily be turned into a two-of is Hex . 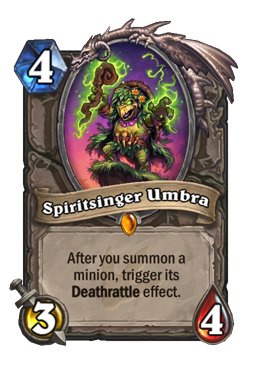 At four mana it isn't quite as strong as it once was, but there is no doubt it has a lot of power with all of the Warlocks running around. 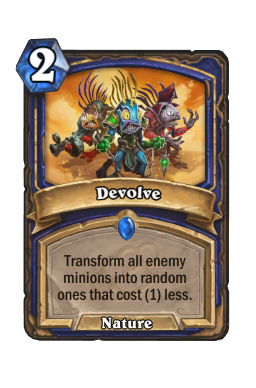 Yes, you have double Devolve , but sometimes getting an extra transform ability is crucial. 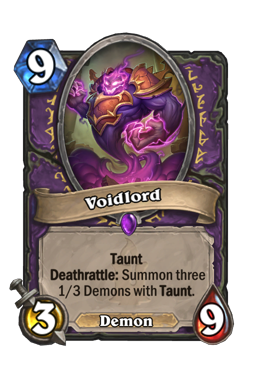 This also works wonders on Voidlord because it doesn't give your opponent an eight drop. In the case of Harrison Jones , this slot can be anything you want it to be. The weapon killer has quite a bit of targets right now, especially against Secret Mage and Cubelock. However, there is no one right way to play tech cards. The original list ran Skulking Geist to ruin Jade Druid and Combo Priest, and you could also use Mind Control Tech to combat aggro. It is all about what you face the most. Volcano I know. I do. We've talked about Volcano more than a few times on this series, but it is always important to cover simply because of how crucial it is for decks like this one. As mentioned above, you are a deck with a strong control slant. This card is a huge reason why. Fifteen AOE damage is incredibly strong against a lot of the meta (looking at you Paladin) and having a pure clear for the middle of the game after your opponent commits bigger threats is very powerful. 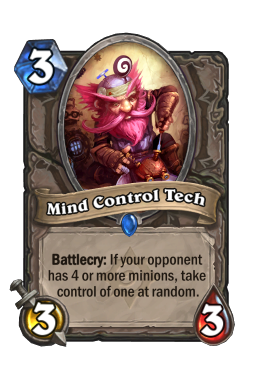 This is also wonderful with Devolve because of the way that combo shuts down buffs. If your opponent ever tries to stack up high-health minions, you simply devolve them down and then clear. Something else you need to make note of this card is how much stuff you have on the board. A fifteen damage cap rarely matters, especially when you plan accordingly. However, if you make a mistake or don't set Volcano up in the right way, it can often be dead. There have been many times in the past where I've needed Volcano only to find that I played to many high-health minions. There is nothing inherently wrong with killing your own board (that happens quite a bit), but you do want to make sure that you're going to be able to get this going when you need it. 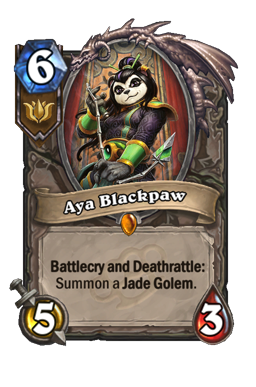 For that reason, Aya Blackpaw is one of the best cards to have out before you erupt. Clearing and getting a jade golem is invaluable. The four decks I see the most while playing the ladder. Control Warlock Cubelock is still incredibly popular, but there is no doubt that classic Rin Control (as covered on Weekly Legends) is back in a big way. No matter what Warlock you face, you need to get going quickly. 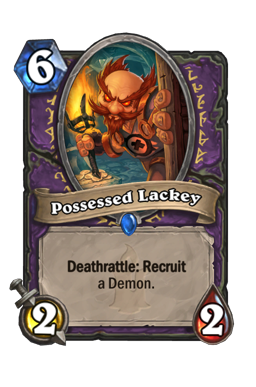 Yes, you have answers to their combo pieces with cards like Devolve , but most good players wait on Possessed Lackey until they can kill it with Dark Pact on the turn it comes down. You have to leverage your aggression in this one. Warlock has a lot of powerful cards, but they also don't do much for the first four or five turns. Take advantage of that by coming out of the gates swinging. Mulligan aggressively for all cheap costs cards and drop down as many things as you can. This is the one game where starting slow on the jade package can hurt you. Don't get lazy. 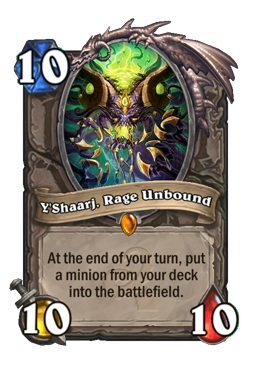 Once Warlock hits turn five they are going to take over if you aren't ready. This game is mainly going to be you playing things out and seeing what your opponent can come up with. Even so, don't shy away from AOE. You have a lot of ways to push the board, and if your opponent clears, you should be able to reload with ease. 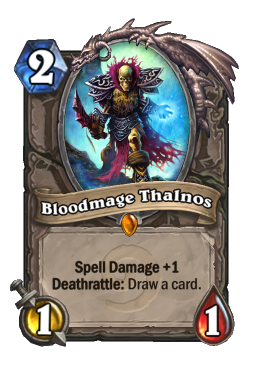 Thrall Deathseer is extremely powerful in this game and you want to change to him whenever you can. Even if you cannot get value from the battlecry, his ability to generate monster threats is very important. 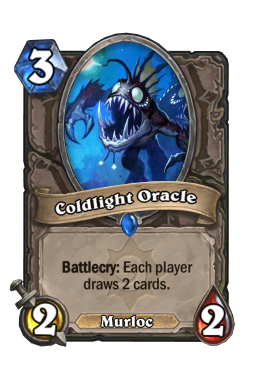 As mentioned, the other combo that wins you this one is Coldlight Oracle and Murmuring Elemental . Drawing four cards is great for you, and it can shatter your opponent's key combo pieces. Use the fish to take out some key cards and transform the rest. Combo Priest Sitting right behind Warlock, Combo Priest is still as strong as ever. The midrange build has the incredibly powerful dragon package in addition to all of their OTK nonsense. As with Warlock, you win this game through constant pressure. 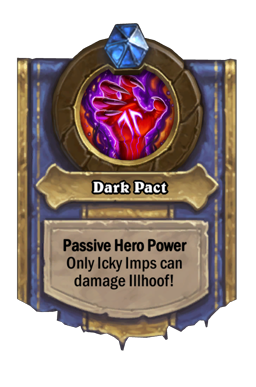 That does not mean you need to stack up damage, but rather you control the board so that your opponent can never get a minion to stick. 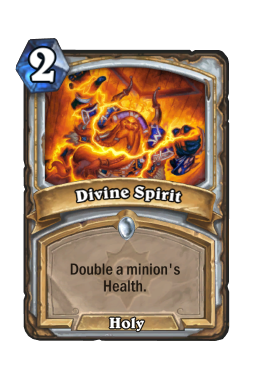 Combo Priest's only real weakness is that they can do very little without priority. Do not worry about killing them. Worry about grinding them out of cards. If you leverage your threats in the right way and work to keep all of your opponent's threats back off the board, they will never be able to burst you down. Even so, it always helps to keep your health up at thirty just in case. You never know when your opponent can suddenly burst back, and you don't want to leave yourself exposed. This is a game where you want to lean on both Devolve and Hex . 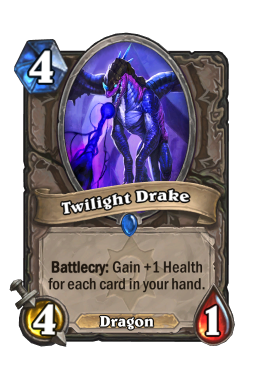 As soon as your opponent marks you as Jade they will play around AOE by buffing up their board or playing high-health threats like Twilight Drake . That can be annoying, especially when you're trying your best to stay above Inner Fire and Divine Spirit . Saving your transform spells for those situations is key. This is not a game where you want to wait around to see what happens. As soon as your opponent goes big on a minion or runs out their big buffs, you take it down. Sitting back is almost always going to lead to disaster. Note that it can also be right to damage a minion when you have no hard removal. Yes, you aren't killing anything, but you're stopping combo potential. Aggro Paladin Honestly, I am shocked Paladin is still as popular as it is. The deck is extremely strong, but there are a lot of counters throughout the most popular decks. This build has many ways to handle Uther's swarm, which makes Paladin a great matchup. 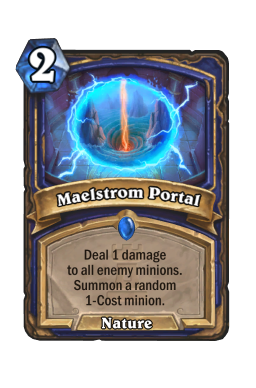 Maelstrom Portal , Devolve , Volcano , and Lighting Storm all ruin Paladin, but they need to be played at the right time. You aren't pulling the trigger right away in this one unless you're scared of a next turn Level Up! 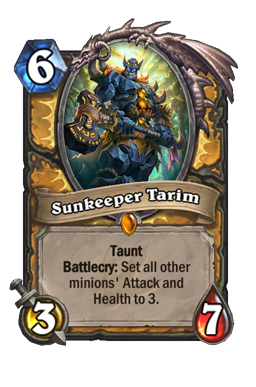 or Sunkeeper Tarim (and sometimes you want to catch those in the blast as well). Your goal is to take some shots, lull your opponent into a false sense of security, and then blow them out of the water. How long you wait depends on various factors, but most of the time it is that one extra turn that really hurts your opponent. Unless you're close to lethal, you always want to fight on board before you use spells. 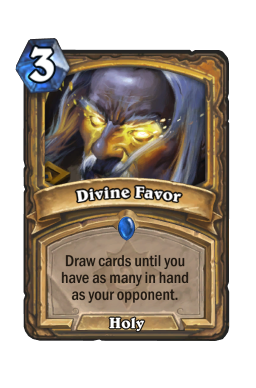 Play around Divine Favor . Though most of the past decks we've faced down have not had the ability to do this, you can definitely take some steps to limit the three mana spell. Run out cards on every turn (as long as they aren't AOE or healing) so that by the time you do go for the big clear it is not in vain. Your minions are mostly battlecry based, which means you never have to worry about "wasting" their abilities. The only exception to that is with Coldlight Oracle , which you almost never want to run out in this one. 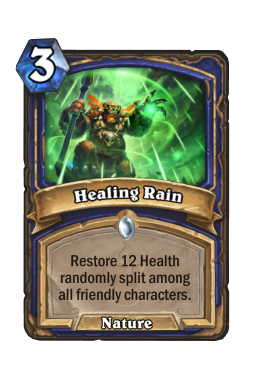 Be patient, hoard your spells, and make sure Healing Rain goes all to your face. The three mana spell is very strong, and if set up well it can ice the game once your run your opponent out of minions. Hunter Spell-based Hunter still holds strong in the fourth spot. 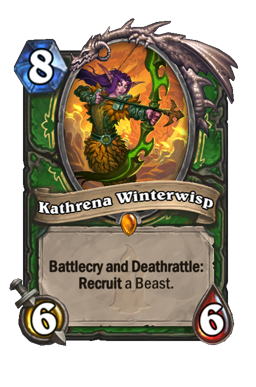 You will see a few builds out there, but the most common utilize either Barnes /Y'shaarj, Rage Unbound or secrets with Kathrena Winterwisp to ice games quickly and efficiently. 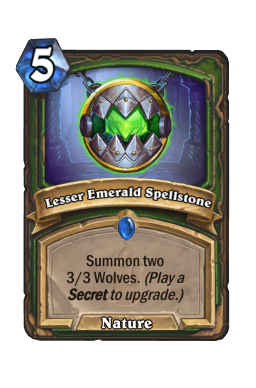 Hunter is a deck that wants to press early and then use strong plays like Lesser Emerald Spellstone to distract their opponent while they set up finishing burst. To avoid that, you need to control the board in a way that also allows you to be defensive. 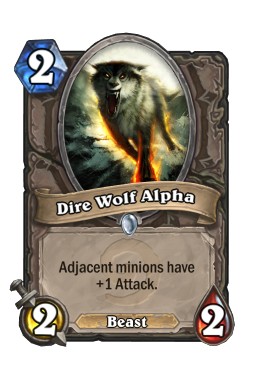 Save AOE for the wolves, keep Devolve or Hex for big threats, and do everything in your power to keep your health up. Work to gain life wherever you can. 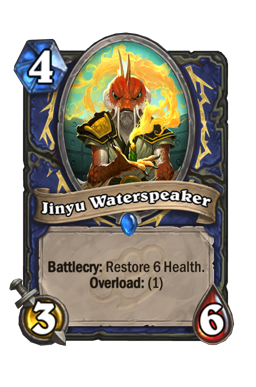 Jinyu Waterspeaker is great here (especially with Murmuring Elemental ) and Healing Wave can also push you far ahead of Hunter's burst potential. 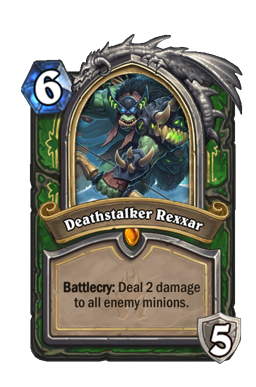 The only other thing you need to be aware of is when your opponent is going to switch into Deathstalker Rexxar . That switch means your opponent has moved on from damage. Press the board and create as many big bodies as you can both right before and during the transition. While the deck plays differently than midrange, the mulligans are very similar. You want to open with Jade Claws every game. In fact, it's your only must-keep. Devolve and Hex should always be kept against Warlock, while Flametongue Totem and Mana Tide Totem are strong when you have a good opening. 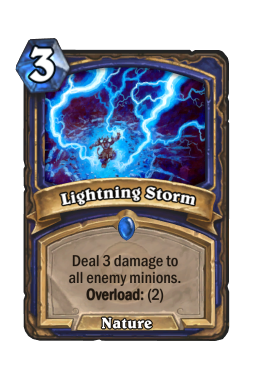 Maelstrom Portal and Lightning Storm should always be kept against aggro, and you always want Jade Lightning and Jade Spirit if you can curve into them. 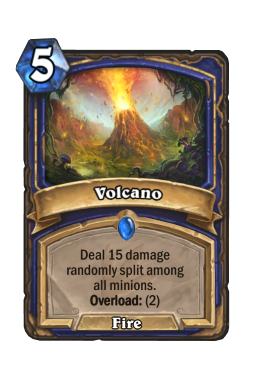 Volcano is also good against faster decks if you have a strong opening and the coin. 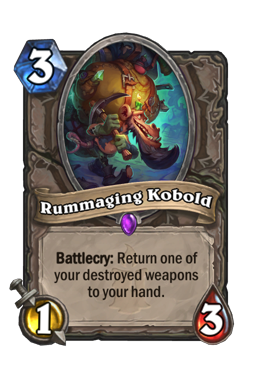 Rummaging Kobold should be kept with an early Jade Claws, especially against control. It always feels good to get back to my elemental roots. Shaman is my second favorite class to play, and it has been a while since we've been able to give it some love. This build has the tools to handle some of the strongest decks in the game. While you won't win every match, the plan is very solid and helps you push in all the right ways. This build is severely tweaked, and that is where it power comes from. 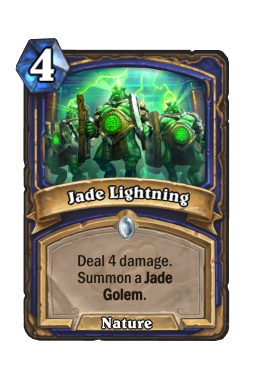 The jades are a great foundation, but the tech choices really help you answer popular decks with lethal efficiency. Until next time, may you always high roll your Devolves.